On Wednesday, Walt Disney Studios held a special presentation at CinemaCon in Las Vegas, showcasing their upcoming movie lineup for the rest of the year, which is the first big event following the purchase of 21st Century Fox. Walt Disney Studios showed off a new lineup, putting 20th Century Fox, Fox Searchlight and Blue Sky Studios alongside its other movie divisions, Pixar, Marvel Studios and Lucasfilm. This event also saw Disney confirm its commitment to releasing movies at cinemas and that while streaming services are important to the companies future, they value having their biggest movies going to the cinema. And with movies like Captain Marvel pulling in over a billion dollars at the box office, its hardly surprising. Due to the huge amount of movies due to be released in 2019, Disney is going to be shuffling around some of the release dates for its new Fox movies, so that they don’t clash with their other movies. During the event, many sizzle reels were shown to the audience, showcasing the massive amount of movies coming out in 2019 including montages of 20th Century Fox movies including Wolverine and Deadpool, plus a celebration of 25 years of Fox Searchlight. “I’m still just trying to get my mind around this,” Disney chairman Alan Horn told the audience following a montage clip of all the movies by Disney and Fox was shown. Attendees of the event also got to see clips of the Lion King, Avengers: Endgame and an extended preview of Toy Story 4. There are some interesting notes from this lineup such as that the Fox Marvel movie, New Mutants is still being listed as a cinema release, so doesn’t look like it will be coming straight to Disney+ or Hulu. One of the biggest issues still facing Disney over the 20th Century Fox movies is how the existing deal with HBO, which is due to expire in 2022, will effect new movies coming to Disney+ in the future. It was also revealed during the event that they would be making new movies based on franchises including “Deadpool”, “Kingsman,” “Alien” and “Planet of the Apes”. While not every movie from 20th Century Fox and Fox Searchlight would be suitable for Disney+, there are some family friendly movies in their lineup including Call of the Wild, which is an animated movie starring Harrison Ford, X-Men: Dark Phoenix, The Art of Racing in the Rain and Blue Sky Studios Spies In Disguise. Disney look to be making sure they offer a wide selection of different movies for different audiences, which is why they purchased 21st Century Fox. To boost their upcoming releases and to fill out their back catalog, all of which will help Disney+. 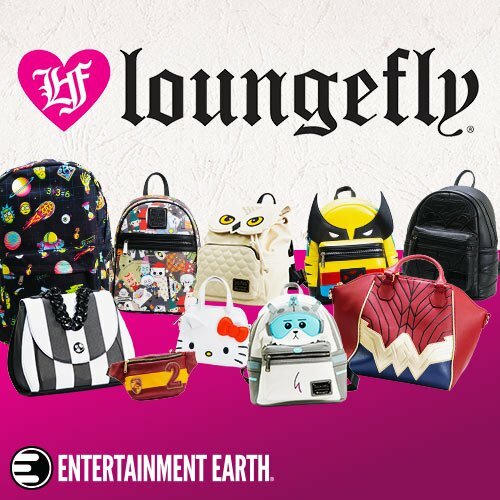 Seeing Disney portray their new brands alongside their existing brands, does show why they cut the Fox 2000 label, since those movies can easily be shifted over between Searchlight and 20th Century Fox. Hopefully we get some clarity on what will be coming to Disney+ from the new Fox studios in the weeks ahead. 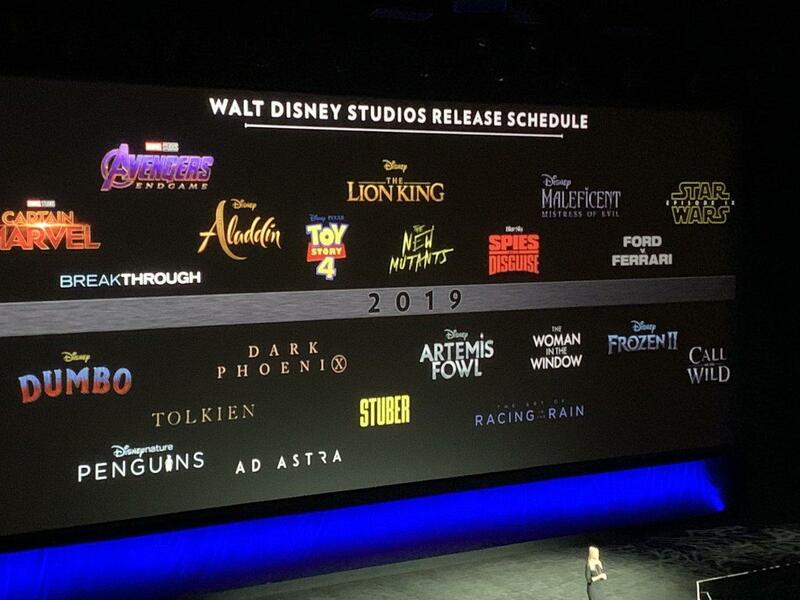 But there is no denying that Disney now have a huge lineup of new movies for 2019, which no other company can rival. « Is Wizards Of Waverly Place Returning To Disney+ ? Así que en la D23 estará ahora incluido los estudios 20th Century Fox, Fox Searchlight Pictures y Blue Sky Studios.